Following the Fastlane pay-per-view, Raw quickly pulled up its socks to head right into the Road to WrestleMania 35 and establish as many matches for the event as quickly as possible. 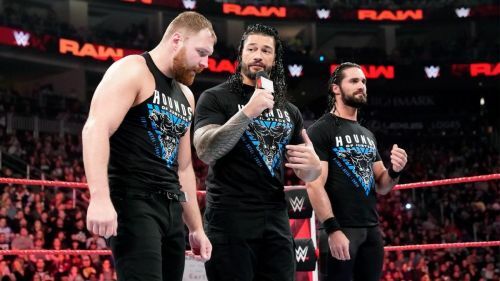 The show opened up with The Shield, and the focus soon turned to the Universal Championship match for the grand event. Batista made his first appearance after a vicious assault of Ric Flair two weeks ago and confronted Triple H to set the foundation to their No Holds Barred match for WrestleMania. Intercontinental Champion Finn Balor defended his title against The All Mighty Bobby Lashley in a match which surprised us all. While there were a few shocking spots in the entire night, there were definitely some good ones which made the episode better. Take a look at the 3 good things that happened on this week’s Raw, and share your favorite moments from the show in the comments below! The Shield closed out the Fastlane pay-per-view to much delight of the fans on Sunday night. They followed that with the opening segment on Monday night on Raw. Reigns was emotional and said that if last night was the end of The Shield, he has no regrets. He followed that up by hyping Rollins up ahead of his WrestleMania showdown with Brock Lesnar as the WWE Universe chanted "Slay the Beast!" Even though the promo seemed to lack a lot, the crowd still enjoyed it which was evident from their chants and applause. If this was the final promo from The Shield as one unit, it did everything and did so in a short period of time. Rollins followed up the promo with an exchange with none other than his WrestleMania opponent’s advocate Paul Heyman, which brings us right back to the fact that the three men are now more or less on their own.